How to Settings The Gear VR 360 in Samsung Note 7 Tutorial - Your Galaxy is your best choice to the 360° amazing experiences with Gear VR. 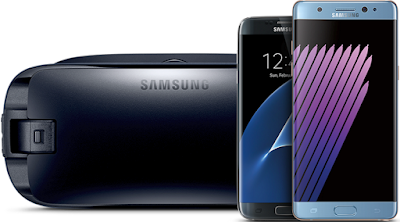 The simply snap in any of the best and latest Samsung smartphones : Galaxy Note7, Galaxy S7, Galaxy S7 edge, Galaxy Note5, Galaxy S6 edge+, Galaxy S6, or Galaxy S6 edge. Do as you want to capture your own 360° videos and photos with the Samsung Gear 360 camera, and then share your creation in no time, on YouTube, Facebook or others. Read the Gear VR Manual and the Gear 360 Manual and download Samsung Gear VR applications for viewing virtual reality content, and the applications can be downloaded from the Oculus™ Store. Can be use on Dry after wet. IP53 splash and dust resistance. Memory card required to capture footage. Memory card sold separately. Tap the touchpad on the right side of the Gear VR. Choose the application you want to download. Use the on-screen pointer to highlight INSTALL or FREE, and then tap the touchpad. To open the application, highlight START with the on-screen pointer and tap the touchpad. Disconnect your mobile device from your Gear VR. From the Home screen of your mobile device, touch Apps . Touch INSTALL or FREE on the desired application. Once the application is installed, reconnect your mobile device to the Gear VR. On the Gear VR, from the Home screen, highlight Library with the on-screen pointer and tap the touchpad. Using the on-screen pointer, highlight the application and tap the touchpad. Follow the on-screen instructions to complete the application installation. Applications can be uninstalled through your mobile device with the Oculus application. Disconnect your mobile device from the Gear VR. Choose the application you want to uninstall and touch UNINSTALL. Once the application is uninstalled, reconnect your mobile device to the Gear VR. Applications can be uninstalled through your mobile device with the Application manager. In the DOWNLOADED tab, touch the application you want to uninstall. 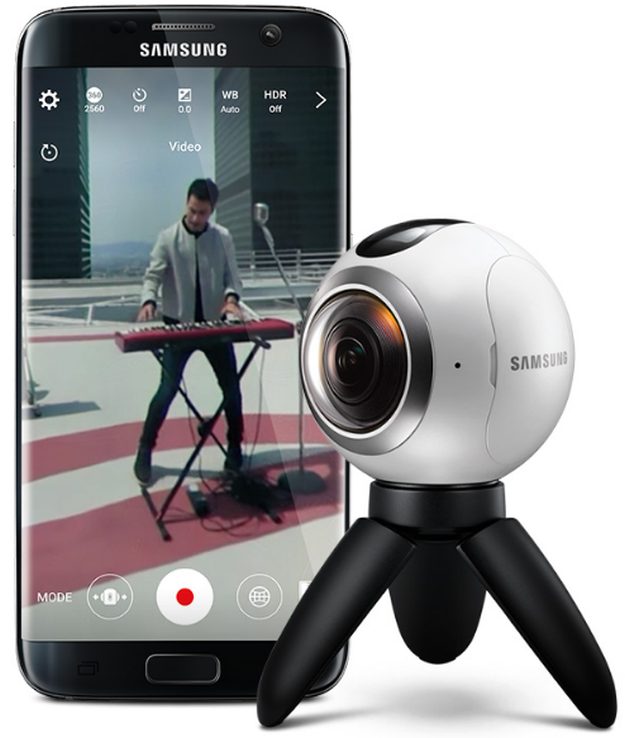 The Samsung Gear 360 manual captures immersive, near 4k1 video and 30 MP photos that tell a story from every angle all at once. 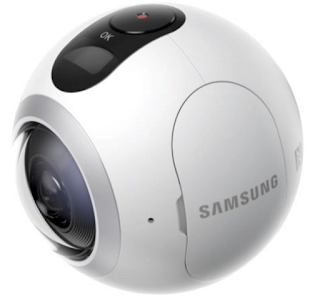 The Samsung 360 Gear Camera Shoot 3840x1920 high resolution videos or a 30 MP photo with the touch of a button. You can get the best picture day or night, get the bright, 180°, F2.0 lenses with capture clear, fine on vivid color content every time. With two 180° wide-angle lenses Samsung360 take shots simultaneously. With Gear 360 VR can automatically merge them to produce a seamless 360° image. Try the best one you can stitch your creations with the Samsung 360 Camera on the spot with your phone, or edit them more fully on your PC. Share relive your favorite moments on your compatible Galaxy smartphone, Gear VR Samsung or PC. Go deeper and immerse yourself in more Camera 360° creations with the Samsung Gear 360 VR.